It’s my first new track for a while – a piece of upbeat instrumental electronica. I’m grateful to Reboxed Media for producing a video. 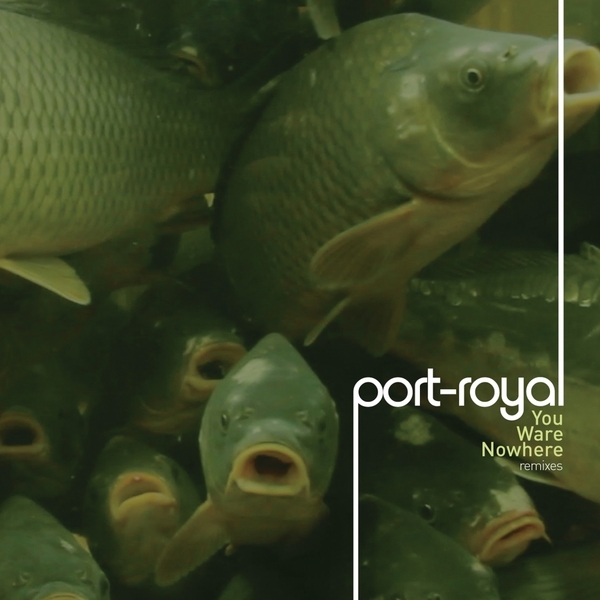 Very happy to announce that Northcape was invited to remix a track by one of my favourite groups on the n5md label, Italian electronica/ post-rock collective port-royal, as part of ‘You ware nowhere’, a compliation of remixes from their excellent recent album ‘Where are you now’. Includes 12 tracks including mixes from Arovane and Bvdub! Available now for pre-order. I was interviewed by Tom Laird, who is the man behind the excellent Fade to Yellow podcast a few weeks ago and have just got round to posting it here! My incomplete thoughts below on the new ‘Glasshouse’ EP, the process of composition and how to promote electronic music. Post by Words On Tracks. Thanks very much to Full Color Emotion for putting this together! SSS049 Melorman ‘Waves Remixes’ will be released this September, featuring artwork by Shift and a great line-up. I’m happy to say that a Northcape remix of Melorman’s “Deep” is the first track on the album. The Northcape mix is up now on soundcloud, feel free to check it out! Giles (better known as @drfrot on twitter) has very kindly reviewed the new album, and emailed me a copy. I’m reposting it below. Many thanks Giles for taking the time to do this! Close followers of Northcape’s own brand of warm, melodic electronica will know there’s another release that sits between 2010’s masterpiece Captured From Static and this latest offering. It’s significant, because Alluvial EP – available for free download at the official Northcape website (http://www.northcapemusic.co.uk/alluvial-ep/) – served as a portent for what was to come in this, his finest hour. Where Captured From Static practically fizzed at times with electronic energy, ranging basslines and playful beats (if you don’t already have it, get it now – it’s spectacular), Alluvial EP was a much more ambient offering, said to have been inspired by “geology, human prehistory and the idea of ‘deep time’- how incredibly long it has taken the planet to evolve”. Both releases were outstanding in their own right, and in Exploration & Ascent, their styles have been in some way intertwined to give us the very best of both …indeed you could almost listen to all three in order, with Exploration & Ascent coming as the conclusion to a slowly evolving trilogy – a musical equivalent of his ‘deep time’, if you like. There is much of Alluvial EP in here – that connection to landscape, the cinematic imagery the sounds evoke – but this time it’s done with real intent, as we are taken on a journey from one end of the album to the other. It’s a true “long player” in the pre-digital music sense; something we know from interviews that Northcape takes seriously as an artist. So while favourites will inevitably be subjected to repeat plays, it’s almost inconceivable to listen to tracks in isolation – not because they wouldn’t work; simply because once you’ve heard the whole album, you wouldn’t dream of skipping any. Together, the tracks coax us gently into this mountain ascent, with descriptive track titles leading us in our contemplations from one stage of the journey to the next. It’s music for the outdoors. I have enjoyed it over and over on headphones at home, but it came into its own when listened to on a long walk across hilltops and through forests – big views complementing the expansive sounds. After the determination of setting out on the Trailhead, then wandering carefree through fields of Potentilla, The First Crossing of the Watershed is suitably cautious and at the same time the beginning of evermore awe inspiring soundscapes as you toil higher towards your musical summit. When Meltwater commences, your imagery is accompanied by a babbling stream of notes whose icy temperature you can almost feel – it’s quite uncanny at times, and will bring a smile to your face. I can’t fault a single track on this album, but there is one – Mackerel Sky – that has me so utterly in its thrall, I can spend whole evenings with it on repeat without realising. Again the imagery from the track’s name is strong – end of the day skies, a body full of walking, a mind full of views – and it starts in suitably contemplative fashion. But then your spirits are quietly lifted by the most gentle and inspiring arpeggio melody you’ve ever heard. It’s so achingly beautiful, so insistent, so soothing as it rises and falls in and around all the other sounds… it’s a dream. The crackling of fuel burning in the dark heralds the last refrains of Carbon (the track’s solemnity reminding us once again of ‘deep time’ occurring beneath our feet) and in the short silence that follows, it’s easy to conclude that the whole experience should be revisited again, from the beginning.